Grateful thanks to David Jones (Tower Captain) and Andrew Burrows for the pictures below. 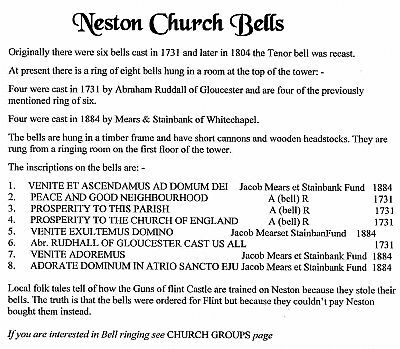 The bells were opened with a ‘solemn dedication service’ on Thursday 23rd October 1884, commencing at 3.30pm. It opened with the hymn ‘O God our help in ages past’, followed by ‘proper’ Psalms (122 and 150) and special prayers. First peal ever rung on the bells.